Whether it's rescuing her cat from Ray Charles's bathroom sink, hiding from naked French policemen, groping Donny Osmond, Christmas dinner in a crack house, comforting Boy George in the back of a transit van, haggling with Arab car salesmen or stuffing Christina Aguilera into a rubber corset, Alison Hay's caustically funny and unflinching observations on the dark side of celebrity drama and personal disaster will have you laughing despite being deliciously aghast. Unafraid to punch holes in the myths of stardom and its aftermath, she takes the reader on a tour of profane adventures. From life as a rock wife, then working for Agent Provocateur in Hollywood, being the sole pink haired woman in a prohibitive Middle East to crashing back down to earth in England, this journey of behind-the-curtain chaos is decidedly not through rose tinted glasses but alternatively hilarious and heartbreaking. 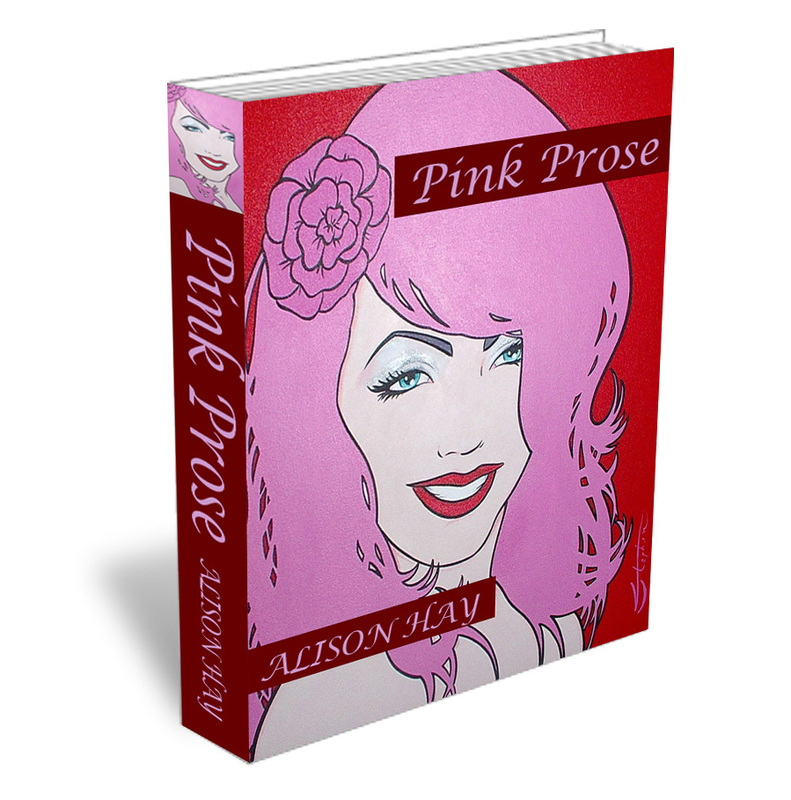 Pink Prose is an emotional collection of stories, pictures and music that paints a vivid and outrageous portrait of the diverse characters along the way, famous and infamous, rough, smooth and occasionally furry, that have starred in the absurd soap opera that is unapologetically Alison. The reviews for Pink Prose are in! Click here to read.